Newport Round House | Launceston Then! 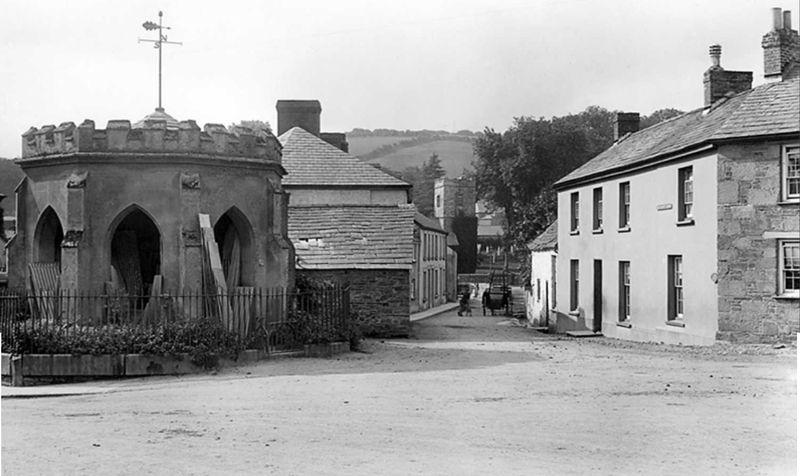 Newport Market House c.1880. Photo courtesy of Nick Hairs. 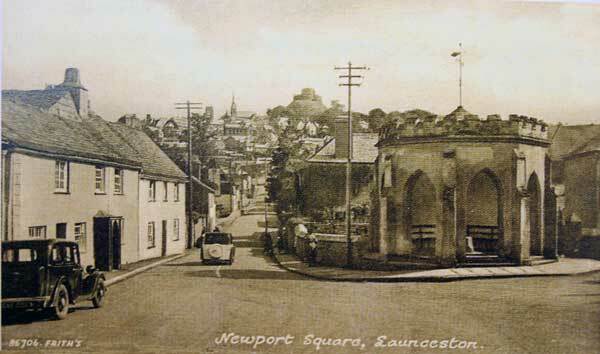 The ‘Round House,’ Newport Square (sometimes known as Newport Town Hall), was built in 1829 at the expense of the Duke of Northumberland, upon the site of Nicholas Burt’s (currier) drying loft. 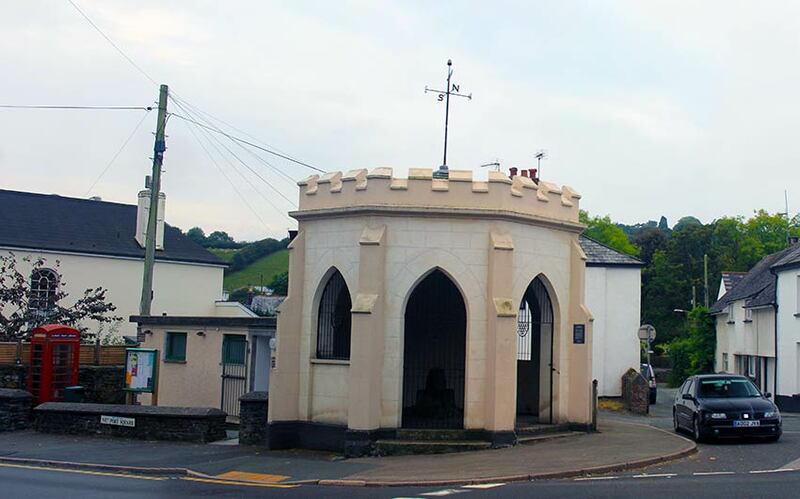 It was built to house the stump of the market cross. Newport still elected two Members of Parliament at that time (the election of whom was virtually controlled by the Dukes of Northumberland before the Reform Bill of 1832) and the election results were announced from the Roundhouse. It is from this cross that former Members of Parliament were proposed when Newport was a separate Parliamentary Borough. Newport was once a ‘Rotten Borough’ and, from the 1500’s until the Reform Act of 1832, it sent 4 members to the English Parliament at Westminster. 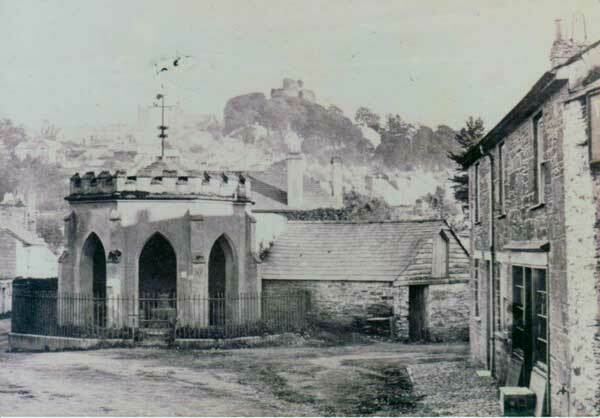 In Sir Alfred Robbins book ‘Launceston Past and Present’ the building is described as the ‘Temple of the Winds’. It was later bought by either Charles Burt, of the White Horse, or his son George, and was used as a general stores for building materials etc (below). 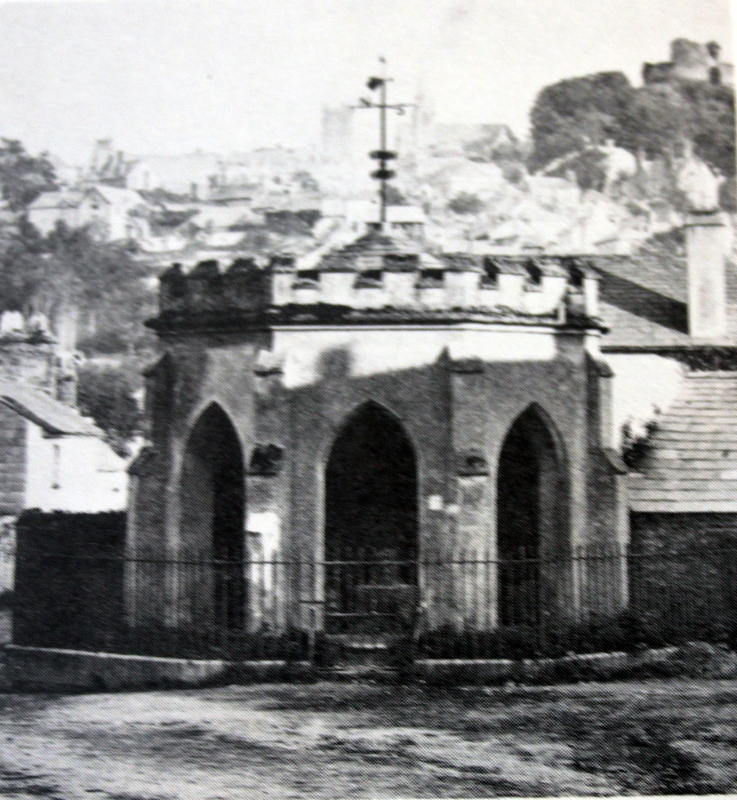 Newport Market House in 1911 being used as a builders storage shed. George Burt later gave it to the town, and in 1923 the General Purposes Committee of the Town Council, at a meeting in September of that year, recommended that the floor be cemented, and that three seats be placed therein (Alderman Hicks promised to give two), and a portion of the front railings and the gate be removed. The Committee thought also that a board or plate should be placed on the wall inside the House, bearing an inscription explaining the origin of the building and recording the fact that it was given to the town by Mr George Burt. 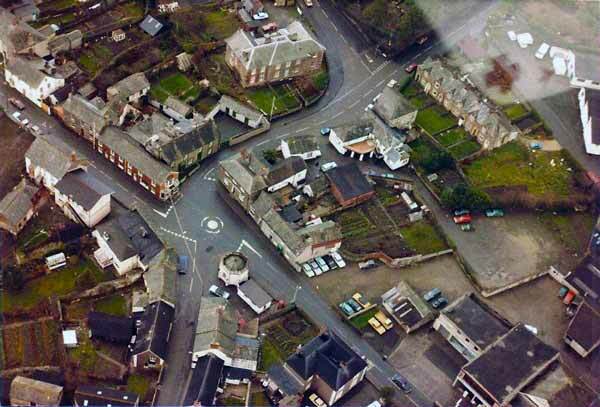 In 2005, the ‘Temple of the Winds,’ by this time a listed building, was badly in need of a facelift and Launceston Town Council obtained planning permissions to put it back into good repair. An architect (Mr John Overton of Messrs Parkes Lees, Launceston) was engaged to draw up plans for the reparation and the work was carried out by Messrs R Worth & Son, builders, of Launceston. The work took five months to complete entailing the stripping of the slated roof, replacing some timbers, the stripping of the external rendering and the re-plastering with lime based rendering. Damaged battlements had to be recast where they had cracked and the weather vane was removed, renovated and replaced in position; the whole building was painted and decorated, at a total cost of nearly £30,000. A plaque recording some of the Round House (The Temple of the Winds) history has been affixed to one of the pillars and was unveiled at an opening ceremony in November, 2005.